We have broad business and financial knowledge to help you in the steps necessary to create consistent wealth and grow a sustainable business. We will not rush you through the process. Every one of our customers gets a free evaluation of the health of their business to ensure they have a solid plan for meeting their future goals. Our long history of assisting local businesses here in the Downers Grove area has given us crucial insight into the local economy and business environment. We can help you make the best decisions, whether you are starting, buying, growing or ending a business. "Can you say you actually enjoyed having your taxes done? You sure can if you go to B3! What a difference from last year's H&R Block nightmare and less than 1/3 the price. We also chatted about different tax options going forward as I am getting up there in years so I really appreciated all of the help and advice. If you are looking for tax help, please give B3 a call. Nice people and great, great service!" "I have worked with Sam and he has helped me get my business up and running with fast and cost efficiently. He has given excellent advice on tax accounting and how to setup my business. The service is excellent and all the ladies that work there provide excellent service. The office hours are very accomodating for professionals that work all day long. If you need an appointment they are also very accomodating. Will continue to use them and highly recommend. Service like the good old days"
"I received excellent service here! Friendly people there, easy to talk to. They also do title registration which was a plus for me as I got my taxes done at the same time as getting my stickers renewed. Definitely give them a try!" 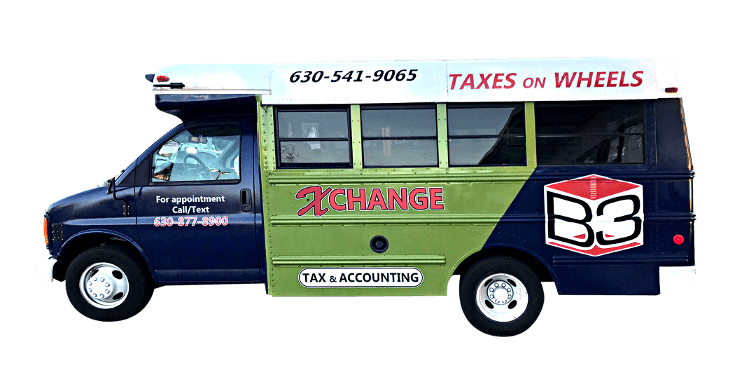 We provide mobile tax services, where we come to you.